Jared Tristan Padalecki was born on 19th July 1982, in San Antonio, Texas USA, of Polish, German, English, Scottish and French descent. He is an actor who rose to prominence after landing the role of Dean Forester in the television series “Gilmore Girls” (2000–2005). Currently, he is the main star in the fantasy horror television series “Supernatural” (2005–present). Jared Padalecki has been accumulating his net worth as an actor since 1999. How rich is this actor? Estimations show that the current net worth of Jared Padalecki is as much as $5 million. This amount is sure to increase, as it has been reported that he earns $125,000 per episode of the series “Supernatural”. After winning “Claim to Fame Contest” organized by Fox Broadcasting in 1999, Jared participated in Teen Choice Awards in which he came across the agent, and so passed-up university in favour of pursuing an acting career. At the very beginning of his career he appeared in minor roles of the feature film “A Little Inside” (1999) and made for television film “Silent Witness” (2000). Jared earned fame after acting in the television series “Gilmore Girls” (2000–2005) created by Amy Sherman-Palladino, for which he received a nomination for the Teen Choice Award for Choice TV Actor: Drama. However, most importantly, he proved that he was able to create characters which attract audiences, and he was so trusted as to land the lead role in another television series “Supernatural” (2005–present) created by Eric Kripke. This time he was even more successful, and was nominated for two Teen Choice Awards and SFX Award as the Best TV Actor. Even though the series received mixed and average reviews from critics, among the huge fan base it is considered to be a cult series. The growing popularity induced the release of a spin-off series such as “Ghostfacers”, “Supernatural: The Anime Series”, “Supernatural: Bloodlines” and others. Jared voiced the lead character on “Supernatural: The Anime Series” (2011). This way, Jared Padalecki has increased his popularity as well as the total size of his net worth. It should be noted that Padalecki continues his career on the big screen, too. He was cast as the main star in the Disney Channel Original Movie “A Ring of Endless Light” (2000) directed by Greg Beeman, the teen film “New York Minute” (2004) directed by Dennie Gordon, the horror film “House of Wax” (2005) directed by Jaume Collet-Serra and the horror mystery film “Cry Wolf” (2005) directed by Jeff Wadlow. Among the above mentioned films “House of Wax” is exceptional as it brought Jared a nomination for the Teen Choice Award for Choice Movie: Breakout Male. 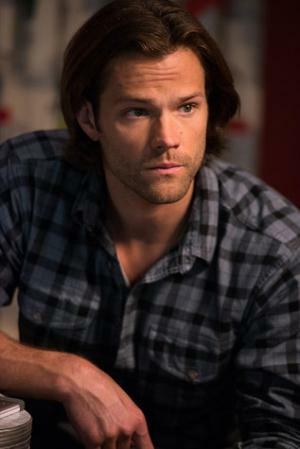 Padalecki then landed two main roles, as Thomas Kinkade in “Christmas Cottage” (2008), and Clay Miller in “Friday the 13th” (2009); the latter increased the net worth of Jared Padalecki the most as the box office of the film grossed $91.4 million whereas the budget was $19 million. Finally, in the personal life of the actor, he is married to actress Genevieve Cortese(2010). They have two children and reside in Austin, Texas USA. No way! That dude deserves to be much richer. Get on it, universe.